Contrary to popular belief, not all dogs need a huge house with a big yard. The size of your home is certainly a factor when choosing a dog that's a good fit for your lifestyle, but having cozy quarters doesn't mean that you need to remain dog-free. Today I want to discuss the real issue of your home's size as it relates to your choice in dogs, and to offer a couple of breed recommendations. Some dogs aren't a good fit for apartments for several reasons. Their sheer size alone might be a factor; many apartment complexes do not allow dogs over 35 pounds. Dogs who require a lot of activity, such as collies, will likely be frustrated and feel anxious without room to run around. Still other dogs are very intelligent and easily get bored if they are not given enough mental stimulation... and boredom leads to destructive behavior! And other dogs are a no-go because they are very vocal or protective, barking loudly at the slightest noise or movement from neighbors. Giving your dog a safe and responsible home includes one where they will be enjoyed and respected, not constantly scolded or crated for being loud. Pug - This small breed is a very popular choice for smaller living spaces. Their short fur makes grooming easy, although you must be sure to keep an eye on shedding. At about a foot in height and 20 pounds, they need minimal space and are typically thrilled to cuddle on the couch with you. Pugs also don't need much exercise - in fact, their short faces can make breathing difficult if they exercise too strenuously, so be sure to keep an eye on them if accessing your apartment requires going up and down lots of stairs. Greyhound - Although the greyhound is a relatively large dog - weighing an average of 65 pounds and standing at 2.5 feet tall -they are relatively low-maintenance. Their soft, short fur is very simple to groom and these big cuddlebugs are frequently called “couch potatoes” for their low-key personalities. They do require regular exercise, however, and must have access to a securely fenced area for running at least a few times a week. If your landlord does not permit dogs over 35 pounds, consider checking out other sighthounds such as whippets or Italian greyhounds; these gentle, quiet, and loving dogs are a wonderful addition to any apartment. Miniature Schnauzer - The miniature Schnauzer is a loving, faithful dog who thrives on human interaction. The smallest of the Schnauzer family, this miniature breed weighs only about 15 pounds. Unlike the standard and giant Schnauzer, these miniatures don't mind spending time alone. Their reputation as a child-loving dog makes them a good option for a family. There are many more breeds that are great for living in apartments. You can learn more about apartment-friendly breeds at this link. Once you know what kind of puppy will do well in your home, don't forget to read up about everything you need to know about choosing and getting a puppy right here. And finally, when you're ready to find your new companion, check out this link to find a new pet near you. There are many adorable dogs out there, but don't be swayed by a cute face. A pet is for life so carefully consider their needs from puppyhood to maturity. P.S. - What if you're on the other end of the spectrum and have a lot of room? Maybe you are interested in discovering which dogs will be best for your children or senior family members. You can find the perfect dog to fit your lifestyle by reading all about different breeds right here at this link. Mary Oquendo is the owner of Pawsitively Pretty Mobile Grooming Salon in Danbury, CT and has been in the pet industry for the past 10 years. She is one of only three Certified Master Pet Tech Instructors. 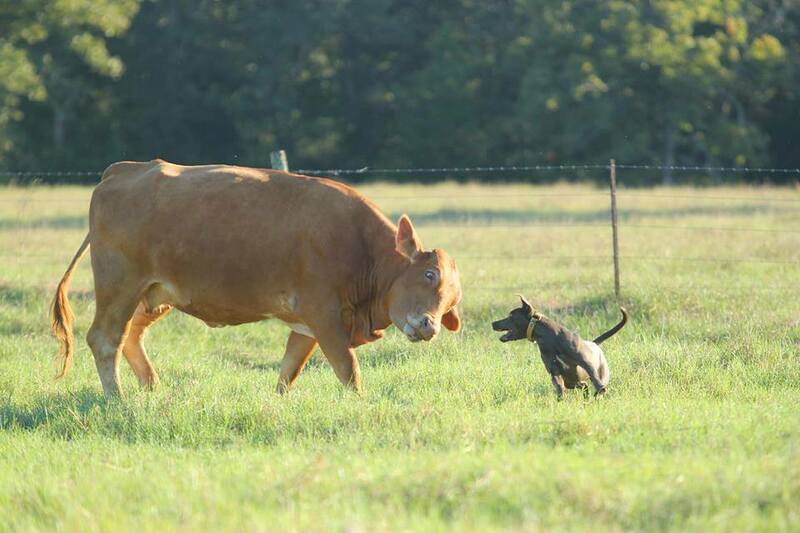 In addition, she is a Certified Canine Specialist. She is a feature writer on a trade blog. She teaches pet first aid on a national level and is a featured speaker at educational trade conferences. 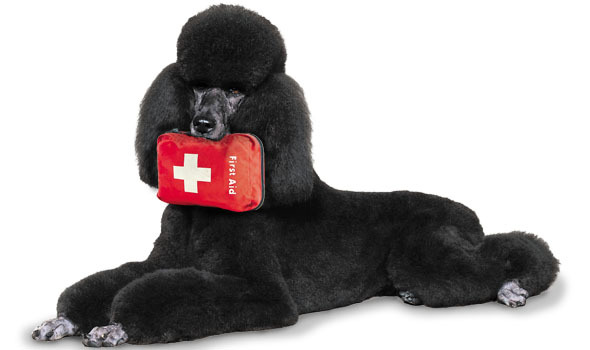 Mary also trains people to become pet first aid instructors and offers professional consultation to pet professionals. Mary is a Reiki Master trained in the Usui System of Natural Healing. She works with animals in their home in the Danbury, CT area. She also offers Attunement classes. Check her website for upcoming dates. Reiki is an ancient healing system in which the practitioner channels the Universal Life Force energy that surrounds us into the pet in need. Mary uses a gentle hands on the body or just above in the pets physical aura. She also offers long distance Reiki, which is used in hospitals and shelters. *Deep relaxation. It reduces stress and tension. *Relieves the effects of chemotherapy. *Speeds healing of wounds, fractures, and surgerical procedures. *Eases their transition to the Rainbow Bridge. Reiki is a valuable component of an overall balanced health maintenance program that includes traditional veterinary care. Mary encourages an open dialogue between you and your veterinarian regarding her offerings. She emphasizes that her services supplement veterinary care but do not replace it. Excellent advice from the ASPCA: Click here for ASPCA blog. Nearly everywhere in America, this summer is a scorcher, and we know that as a responsible pet parent, you want to do everything you can to keep your best four-legged friends cool. So when you look at your Pomeranian, Golden Retriever or long-haired cat wearing a thick, fluffy coat, you might feel tempted to break out your grooming tools and give him a serious hair cut. But hold those clippers! While you or I would hate to sport a fur coat in 100-degree weather, your pets’ fur coats are actually providing them with heat relief. So what can you do? “It’s OK to trim your long-haired dog’s long hair, such as any hair that hangs down on his legs,” Dr. Murray says. Just never attempt to clip mats off your pet’s coat with scissors, Dr. Murray adds. And if you’ve got a long-haired kitty, leave her coat intact. Instead, brush her a little more frequently during the hot summer months. Of course, pet parents should remember to keep pets inside with plenty of water during hot days—hydration is key! For more important information on summer pet care, visit our Hot-Weather Tips. Amazon.com has a huge selection of dog equipment at discount prices. Today I want to talk about a very important topic: pet food recalls. As you may realize, sometimes items must be recalled from the market for safety reasons. Everything from jars of baby food to furniture has been recalled as a way to keep customers safe. When it's food that's being recalled, it's usually because it has been tainted by something that can make us sick. And just as our food can be contaminated with salmonella or E. coli bacteria, it's important to understand that your pet's food can become tainted, too. To read more click on Dr. Jon's website and search pet food recalls. Never leave alcoholic drinks unattended where pets can reach them. Alcoholic beverages have the potential to poison pets. If ingested, the animal could become very intoxicated and weak, severely depressed or could go into a coma. Death from respiratory failure is also a possibility in severe cases. To read more, check out the ASPCA Website. © 2012 ASPCA. All Rights Reserved.